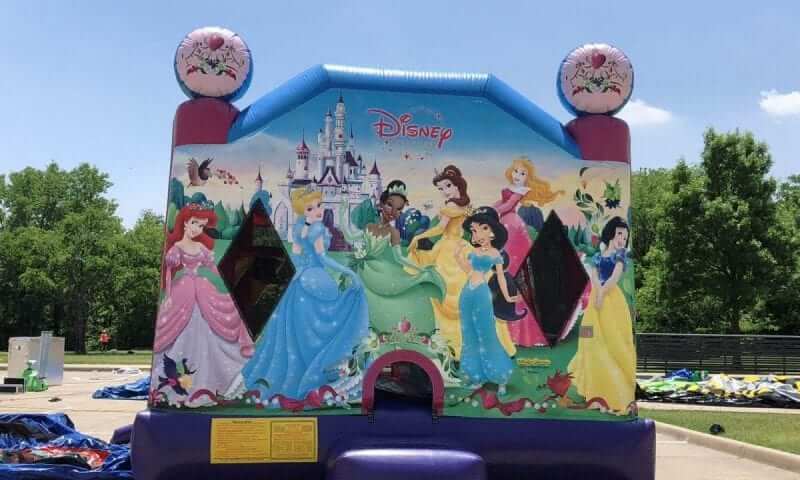 This Disney Princess Bounce House water slide can be used wet or dry. The bounce house has a slide inside. This Disney Princess combo jumper brings the fairytale to life with digital printing fit for any princess or festivity. Participants are greeted by Cinderella, Snow White, Sleeping Beauty, Belle, Jasmine and Ariel for enchanting fun and imaginative play! Ideal for any young ladies party or event, participants can ride a dry or wet bounce and slide or practice their royal proclamations inside this entertaining jumper! This Disney Princess Wet/Dry jumper slide will make your daughter feel like a princess. Other bounce house combos available.